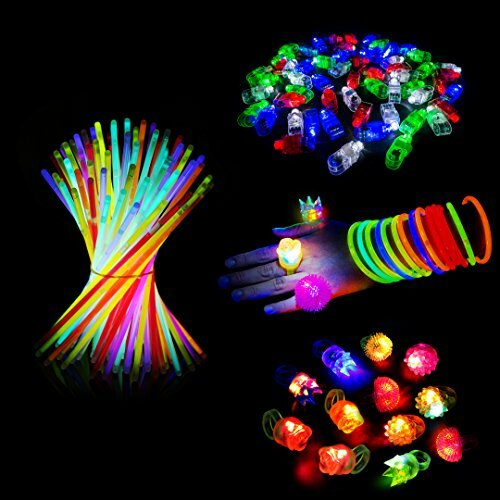 Description: - Flashing Time : 5-8 hours - 3 lighting modes: Multi-colored flashing; One color changing and Slow lighting. - Non-woven packing can be a great present for friend or family. - Great safe gift for kids, bringing tons of fun for children and adults. 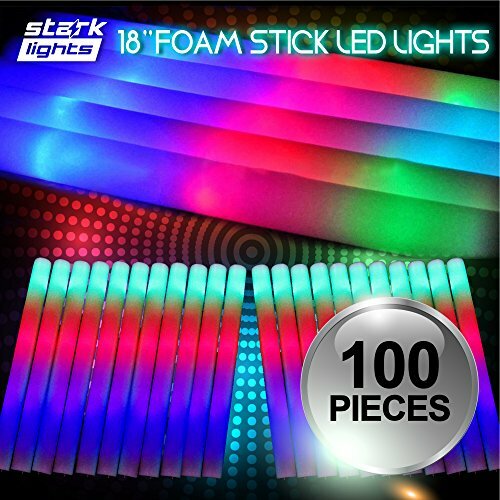 - Flashing LED sticks have an On/Off function for saving battery life. (Battery can be changed for reusing) - Surprising your guests with amazing party favors - Perfect for concert, clubs, nightlife, sporting events, raves, festivals, birthday parties, party supplies favors and practically any event you can think of. 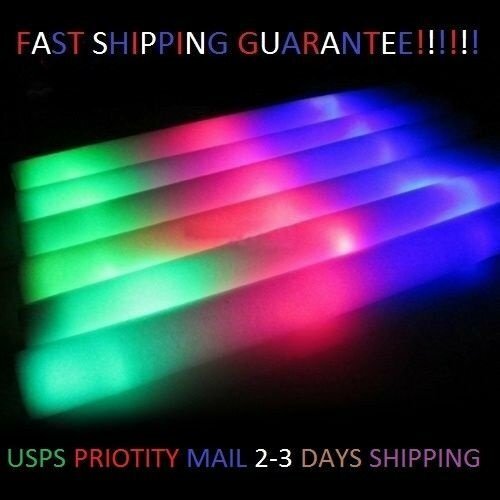 Package Included: 50PCS glow sticks Warranty: - All Blu7ive glow sticks have Strict Quality Inspection before shipment. - If there are any problem, please no hesitate to contact Blu7ive Team. - Blu7ive Team will full refund OR resend another new package to you. 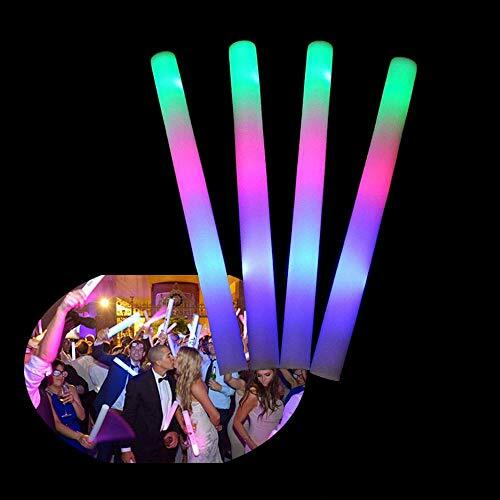 Colorful foam light-up stick Usage: for concert, clubs, nightlife, raves, parties, bachelor/bachelorette parties, weddings, and any other night time event. Feature: 3 model flashing: quick flashing, slow flashing, alternately flashing, turn off. 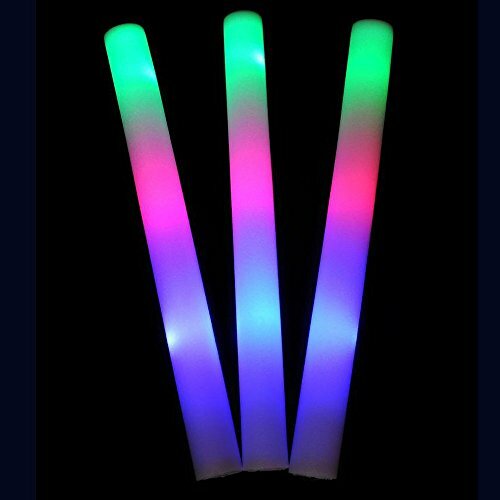 Material: PE Foam Size: 18*1.6 inches/PCS Powered by 3 button batteries(included) How long do LED foam sticks last? 5-8 Hours. 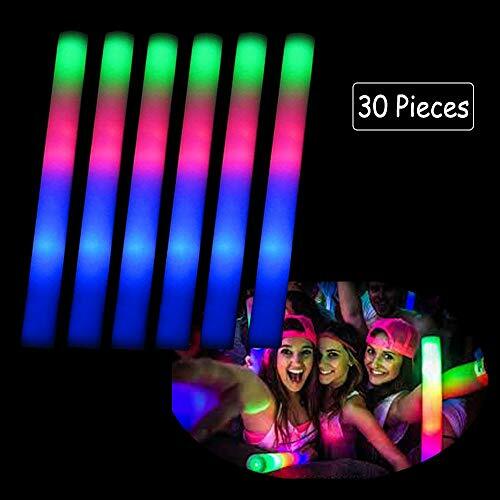 LED Light Sticks are re-usable light sticks available in several types and color selections. 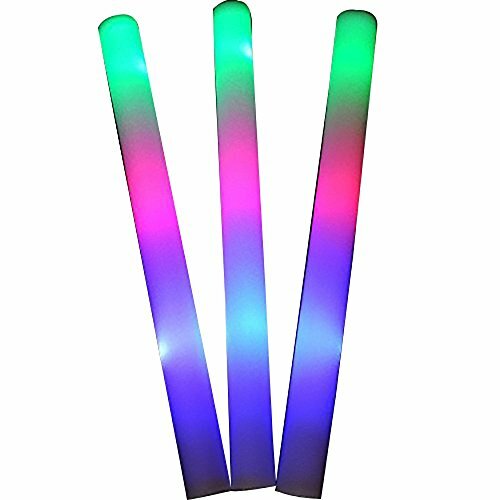 The LED light wands have battery operated super bright LED Lights and come with replaceable batteries so you can use them again and again. 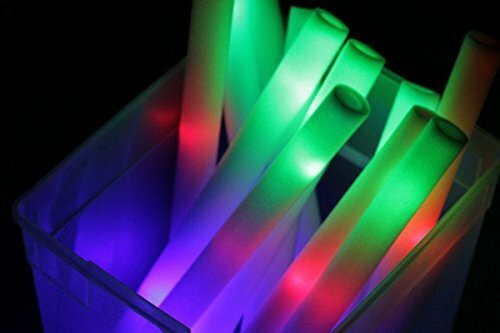 What is the shelf life of a LED foam sticks? The shelf life of a LED Sticks is dependent on the environment the products are being stored in. General shelf life for LED Sticks is 3 to 5 years.